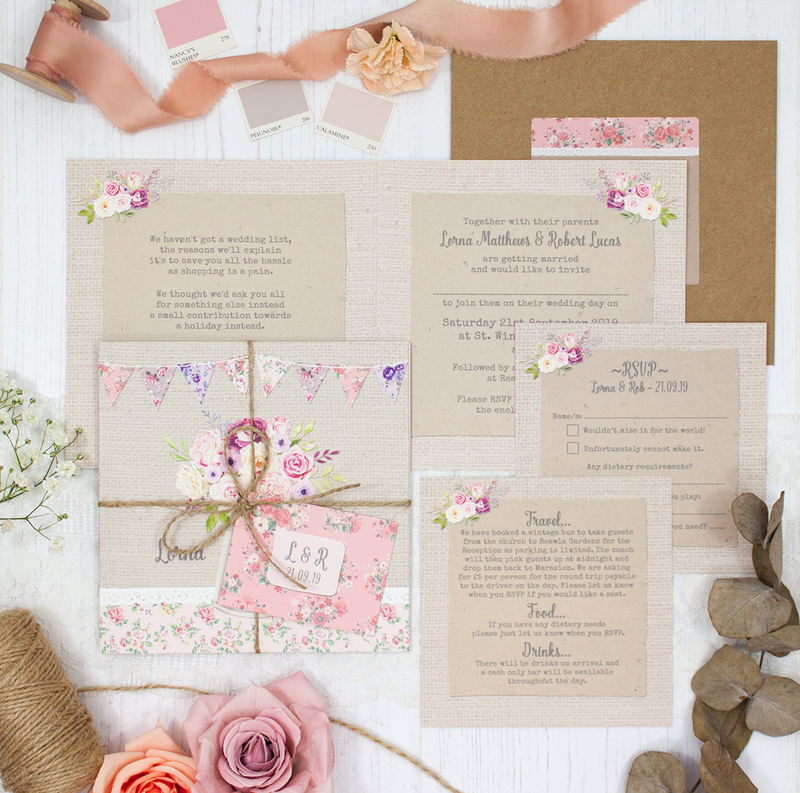 Wedding invitation sample pack including an RSVP, info card, string and tag, envelope and label in the Floral Blooms Collection design. A jug of flowers fresh from the garden proudly sitting in the centre of the table in all its glory. 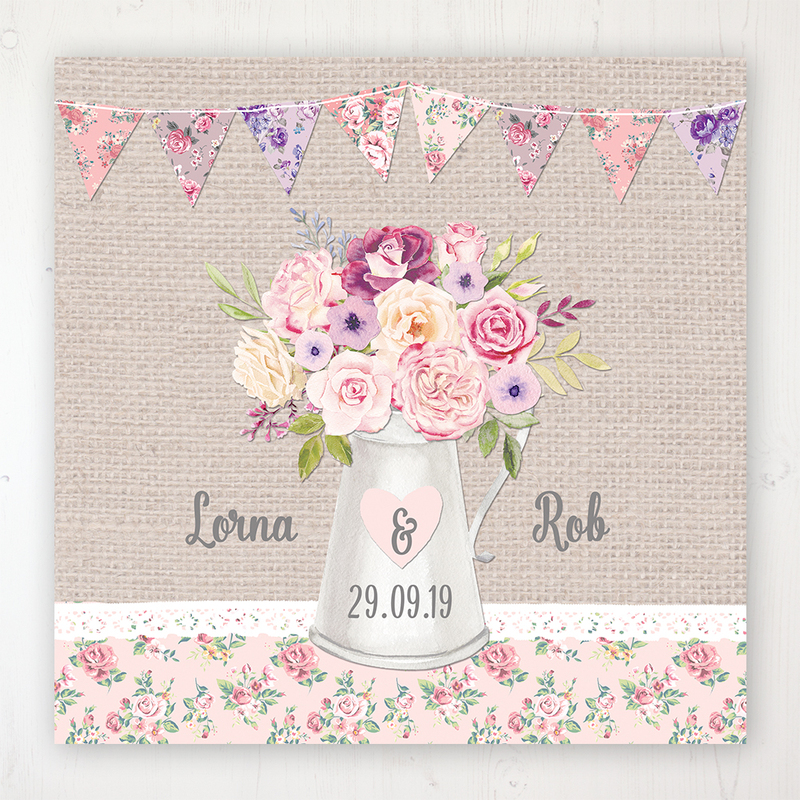 This collection showcases flora at its best with a burst of blooms amidst soft floral-patterned bunting. If you’re after a quintessentially English countryside style then you can’t go wrong with this collection.